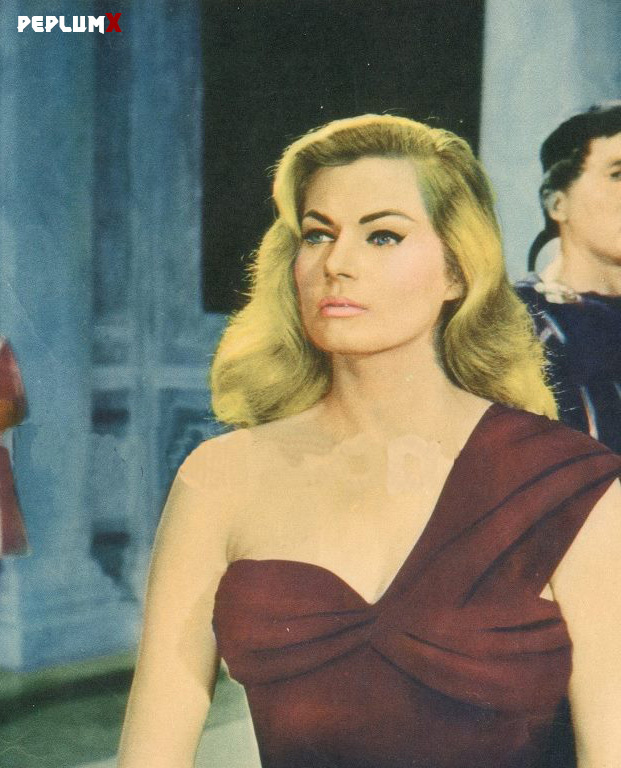 Anita Ekberg died on Sunday morning in Rome. She was 83 years old. Anita made several PEPLUM films and is one of the Queens of the genre. She'll be remembered for her role in Fellini's LA DOLCE VITA. A post on Anita is the most popular post here at the blog (see sidebar). Anita was "Babe of the Month" 2 years ago. 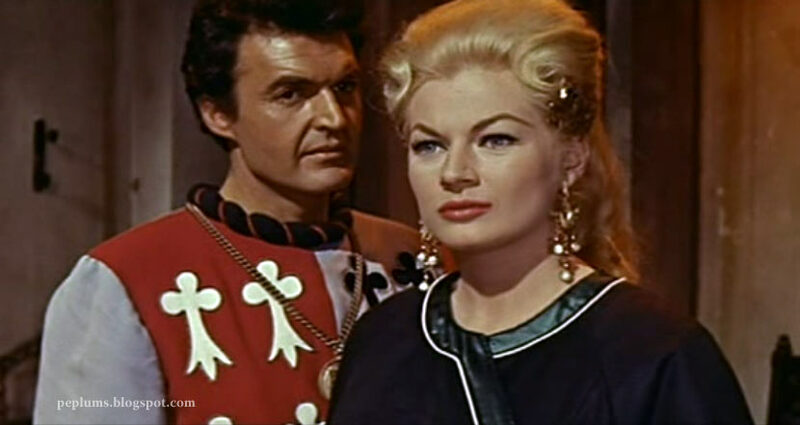 Remarkably, Rod Taylor once said to have dated Anita and he followed her to Europe and ending making COLOSSUS AND THE AMAZON QUEEN and other PEPLUM genre films. It's incredible that they both died so close together. Above & below: Anita was the star of SIGN OF THE GLADIATOR. 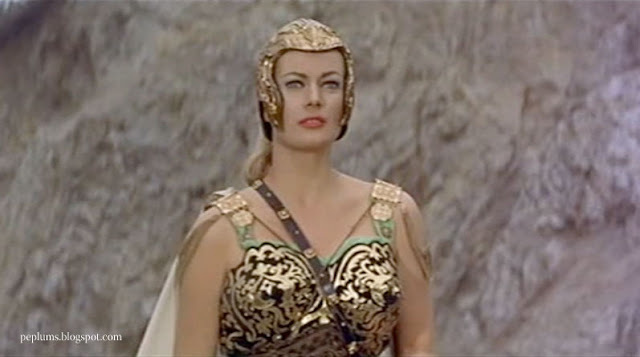 She plays Zenobia, Queen of Palmyra. Anita in a behind-the-scenes photo during the filming of WAR & PEACE with Audrey Hepburn. Goodnight Anita, we liked you a lot. The best of the 50s glamazons. She was a fine actress, and I really liked her many films especially LA DOLCE VITA. RIP ANITA. Fellini once said something to the effect of Ekberg being in movies not because of the glamour, but because of her real, deep love for the magic of making movies.